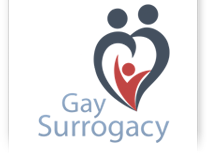 Our partnered surrogacy specialists in focus on organization, coordination and legal support of surrogacy and egg donation programs for all intended parents. Russia has experienced surrogacy specialists who consist of a team of experts in fertility treatments, gay surrogacy arrangements, and surrogacy law, whom all possess great experience and have already built a good reputation. The federal law code “On Basics of Health Protection of Citizens of the Russian Federation” grants couples (including those who have not been officially married) and single women the right to participate in the surrogacy arrangements. Under Russian law, all individuals have the right to use the services of a surrogate mother. Art. 51 of the Family Code of the Russian Federation states that couples, who have given their written consent for the implantation of an embryo to another woman for the purpose of carrying it to term, can be registered as parents of the child only with the consent of the woman who gave birth to that child (the surrogate mother). Art. 52 of the Family Code of the Russian Federation states that neither the spouses, who have given their consent for the implantation of an embryo to another woman, nor the surrogate mother (section two, paragraph 4 of article 51 of the present Code) have the right to invoke these circumstances when contesting the parentage after the parents have been entered into the register of births.